Looking for a foam roller to help with your ride recovery? Want to know a little about this surprisingly complex subject? Foam rollers are currently thought to be one of the most effective ways to aid recovery after long rides. Physiotherapists often suggest using a foam roller and some set exercises to perform what they call myofascial release. This just means using pressure to release tension in the muscles a little like a sports massage does. If it helps recovery, why not give it a try? 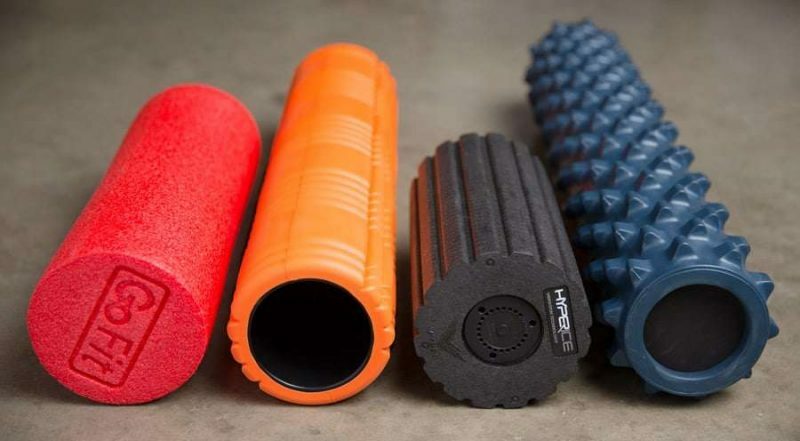 Here are my foam roller top picks for cyclists in 2019. 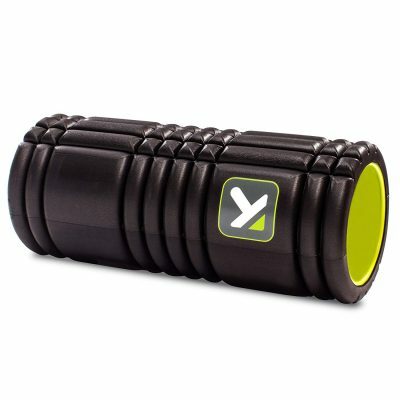 The AmazonBasics foam roller is a great value for those who want a firm roll. It uses high density foam with rolled edges for comfort and is a great size for most uses. It is on the firm side though so it’s better for those who have used rollers before, or know how to use them properly. For the price, this roller offers a quality product at a decent size for all body types and is a great option for budget minded shoppers. The OPTP Pro is a softer roller made from EVA foam. It’s well made, constructed with rounded edges, is 6” wide and capable of rolling most body types. It’s less intense to use than the AmazonBasics roller but no less useful. 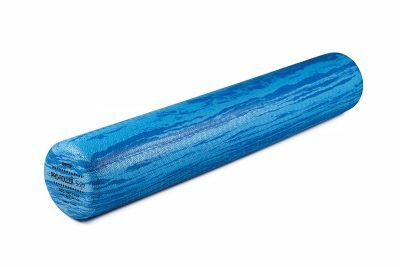 It would be ideal for newcomers to foam rolling or those with softer joints or muscles. Pricing wise, it’s more expensive than AmazonBasics but you do get what you pay for. As an entry into the world of foam rollers, you could do a lot worse! 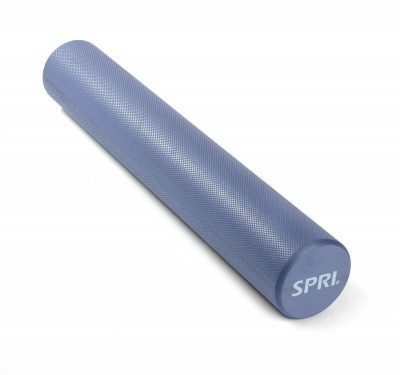 The SPRI foam roller is the best option if you’re looking for a medium density roller. Constructed of heat sealed EVA foam packed at a slightly higher density and the OPTP version but less dense than AmazonBasics, this is the ideal middle ground. At 6” wide, this is the same size as these others and offers a similar experience. 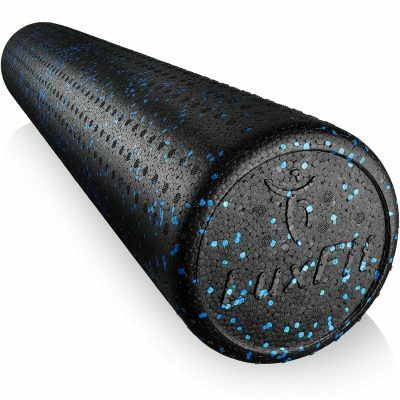 The LuxFit foam roller is top pick for a firm density roller. It offers a much firmer experience than the OPTP and SPRI rollers and a similar experience to AmazonBasics. Constructed of polypropylene foam and available in three lengths, all at 6” wide, there is a roller here for every use. It’s well priced too. A better quality product than the AmazonBasics in terms of quality yet not too expensive. The OPTP Silver AXIS is a half-round roller that works well for rolling after a ride or pilates. It sits flat on the floor and is useful in exercises where you move rather than the roller. This model is made of EPP foam beads and is finished to a high standard. It is 3” wide and available in two sizes. This is a good value half roller that offers excellent longevity and good levels of comfort. The Vulken vibrating roller is something entirely different. It offers the benefits of a dense roller with the added vibration feature. There are 4 speed options for you to choose from. It’s a great choice if you want to add vibration to your recovery. It uses injected plastic shell with a vibrating center that can run at four speeds. There is an obvious price premium for the vibrating action but in terms of recovery, having that feature does offer benefits. 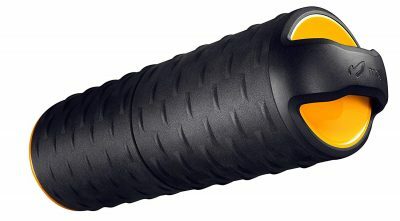 The Moji Heated is the best heated foam roller in my opinion. It’s well constructed, safe to use and offers a whole other dimension to recovery. You microwave the roller to heat it up and it then offers around 30 minutes of warmth while you perform your usual roller exercises. It definitely isn’t cheap but it does offer great quality for the money and the ability to add the healing power of heat to your recovery. The TriggerPoint Grid foam roller is available in different densities and is hollow. Where this roller stands out is by offering a library of free instructional videos that show you exactly how to perform an exercise. This makes it ideal for beginners or those who roll alone at home. With great quality, a range of densities and decent comfort, this is well worth checking out. It offers decent value too while access to that video library makes this very valuable to newbies. 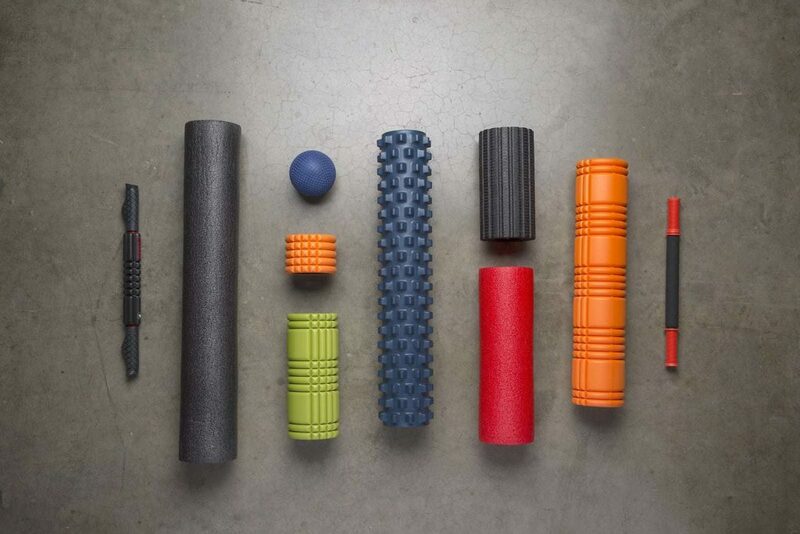 Choosing your foam roller density is a bit of a Goldilocks moment. You want it to be firm enough to offer deep tissue massage but not too firm that it is uncomfortable to use. Finding the right density can be a little trial and error. As you learn how to perform each exercise and your muscles adapt to the roller, you can afford to go firmer. 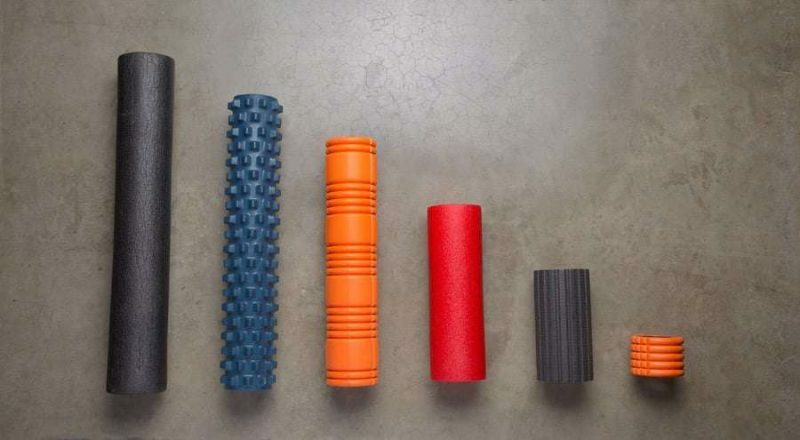 Here’s a general overview of the difference in foam roller density. The firmness of a roller can be indicated by its color. The darker the roller the firmer it is and the lighter the color, the softer it is. There are exceptions to this as there always is but this is the general rule. Soft rollers deform more so won’t last as long as a medium or firm roller. Medium rollers sit between soft and firm and offer more concentrated massage to aching muscles. They are regarded as general purpose rollers and are what many newer users elect to stick with once you graduate from soft. Firmer rollers are not for beginners as they can cause as much ache as the ride. While that discomfort can be reassuring, it can also leave you aching, which defeats the object. Firm rollers are better for experienced users or those that really like the firmer feel. PRO TIP : If you’re new to foam rolling, start softer and work up. The size of your foam roller comes down to personal preference, body size and intended use. Shorter rollers are fine for leg work and for concentrated exercises but are less stable and harder to use than longer ones. Longer rollers are the most stable and lend themselves well to a range of different exercises. Typically 36” long, they are long enough to be able to include the whole back without compromising the exercise. Half round rollers are more for stretching and some Pilates exercises. They are very stable but won’t be any use for most roller exercises. PRO TIP : Opt for longer rollers if you’re just starting out as they’re more versatile and stable. Surface texture is largely down to personal choice but certain types like textured rollers can be effective at targeting deeper muscle groups. Smoother surfaces provide a consistent pressure along the entire length of the roller. If you’re new to rolling or have sensitive skin or muscles, this is a good place to start. Texture rollers come in all varieties from ridges to knobbly. They are supposed to imitate the hands and fingers of a masseuse for deeper muscle penetration. They are not as consistent in their pressure as smooth rollers but can reach deeper. PRO TIP : Smooth surface foam rollers are ideal for beginners. Portability is mainly a practicality issue. If you’re rolling at home, portability is less of an issue than if you’re rolling somewhere else, a Pilates class for example. The longer rollers are not heavy but they can be a little unwieldy when trying to juggle a gym bag, water and everything else. Vibrating foam rollers are something else entirely. While the science may still be a little sketchy, the feeling of higher frequency vibrations along your muscles while performing deep tissue exercises does have a relaxing effect. That may vary from person to person but if you’re looking to take foam rolling to a new level, this is one way to do it. 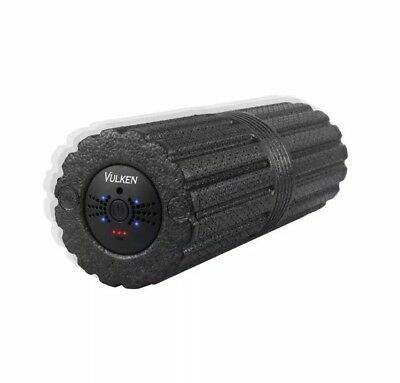 A good example is the Vulken vibrating foam roller which has 4 preset speeds. Heated foam rollers are another value-add option. We all know the role heat plays in muscle recovery and likely all are thankful to say goodbye to the ice bath! If you want to combine heat with deep tissue massage, a heated foam roller can do that. They don’t have their own heating element but are instead placed into a (large) microwave and heated. 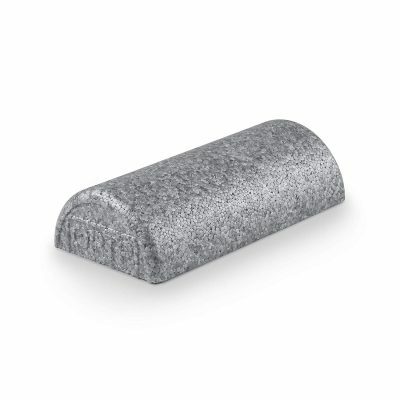 The Moji Heated Foam Roller listed above splits in two and needs to be microwaved together if possible. In return, the heat lasts for around 30 minutes and the roller acts like a standard roller during that time. Foam rolling is popular for amateurs and pros alike. If you want in on the action, you now have a good idea of the best product to try. Good luck with them!